We have already told you about the city’s best salsa schools, but if that’s just not your thing, then, despair not. From Bharatanatyam and classical ballet to good old Bollywood numbers, we’ve got you covered with this roundup of the best dance schools in Bangalore. With separate classes for kids and adults, Shiamak Davar’s dance school is where you should turn to if you want to be a pro at Bollywood dance (beyond those jhatkas and matkas, of course). Currently offering a program that lets you learn three dance styles — contemporary, hip hop and Bollywood — within 15 sessions, this one’s worth signing up for. This decade and a half old Indian contemporary dance company has apparently performed for the Queen of England, Amitabh Bachchan and the Ambanis (and that’s to name a few). Expect unique movements inspired by Indian ideologies at their dance classes that focus on the Indian contemporary dance form. Spread across four studios and headed by dancers from the institute, Attakkalari conducts classes for contemporary dance as well as Bharatanatyam. They also have a Biennale celebrating dance and its forms, every two years in the city. Following a format designed by Maya Rao (classical dancer known for her pioneering work in Kathak choreography), Natya’s classes will let you master the dance form of Kathak. 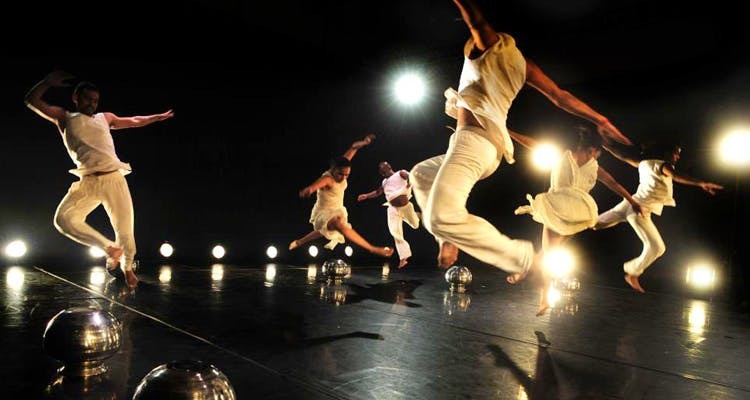 Their unit, Stem Dance Kampni, also offers sessions for contemporary dance. Get set to loosen up and let your hips sway to the beats. Belly dance takes centre stage at this dance school, started in 2006 by Arati Punwani and Deepthi Shetty. While beginners can opt for the basic level classes, there are pre-intermediate and intermediate classes as well. Check them out here. From graceful leaps to elegant poses while standing on the tip of your toes, ace the dance form of ballet with the classes offered at Lewis Foundation, founded by Yana Lewis. Or you could sign up for their high energy level jazz dance classes even. A dance village situated near Hesaraghatta Lake, Nrityagram is a community of passionate and dedicated dancers. Focussing solely on the Odissi dance form, the school offers classes on a residential and day-scholarly basis. What’s more, they have a month-long summer workshop coming up this year and we suggest you register yourself before it’s too late. With Bharatanatyam dancer and actor, Rukmini Vijayakumar at the helm, this art space holds classes for Bharatanatyam and contemporary dance. Zumba, Salsa, Hip-Hop and Bollywood are the dance forms you can sign yourself up for at this studio. You can even opt for a trial class before you decide to start with the classes.